For individuals that have a strong interest in the written word, a Bachelor’s degree program in English and the Humanities might be the best choice for them. Students enrolled into one of these programs will examine all facets of literature, writing and language in-depth. Careers for those that have obtained online Bachelor’s degrees in English and Humanities are varied and exciting. Marylhurst University is a private, coeducational and Roman Catholic-affiliated liberal arts university located in Marylhurst, Oregon. The online Bachelor’s degree program in English and the Humanities offered through Marylhurst University is available in both a fully online and asynchronous format. The program is a Bachelor of Arts in English Literature and Writing and can be specialized with a concentration in either General Literature or Creative Writing. The degree program can be further tailored to suit a student’s personal and professional interests through the use of the school’s many English- and Humanities-related electives that are available. National University is the second-largest private, nonprofit institution of higher education in California and the 12th largest in the United States, and is located in San Diego. The online Bachelor’s degree program in English and the Humanities offered through National University is 100% online and offered in a fully asynchronous format, meaning students will be able to complete their coursework on their own timetables. The degree program available is a Bachelor of Art in English. This degree program heavily stresses literary analysis, diversity and both written and oral communication skills through a rigorous and rewarding curriculum of literature, composition, linguistics and communication studies. The University of Maryland University College is a public, state-funded university located in Adelphi, Maryland. The online Bachelor’s degree program in English and the Humanities offered through the University of Maryland University Church is offered in a very flexible online and asynchronous format. The degree offered at the University of Maryland University College is a Bachelor of Arts in English. The school recommends supplementing this Bachelor’s degree with one of many minors available. Some of these minors are: a Law for Business Minor, a Business Administration Minor, a Communication Studies Minor, a Marketing Minor or a Speech Communication Minor. Clarion University of Pennsylvania is a public university located in Clarion, Pennsylvania and is one of fourteen universities who are part of the Pennsylvania State System of Higher Education (PASSHE). The online Bachelor’s degree program in English and the Humanities offered through Clarion University is an asynchronous and fully online program. Clarion University offers three different degree programs, a Bachelor of Arts in English, a Bachelor of Science in Liberal Studies with an English Concentration and a Bachelor of Science in Liberal Studies with a Writing Concentration. Regardless of the degree program chosen, students will be able to specialize their education by utilizing the school’s numerous minors–such as Literature, Writing and Professional Writing and Rhetoric–and the many different English- and Humanities-related electives available. Columbia College is a private and nonprofit independent liberal arts and sciences college that is located in Columbia, Missouri. The online Bachelor’s degree program in English and the Humanities offered through Columbia College is both fully online and completely asynchronous. The degree program available is a Bachelor of Arts in English, and two different specializations available for students to choose from. These two specializations are Literature and Creative Writing. In addition to these two specializations, students can further specialize their English education by choosing from the school’s many electives and minors that are available. The online program is taught by the same instructors as the on-campus counterpart, ensuring students will receive a quality education. Nicholls State University is a public university located in Thibodaux, Louisiana and is a part of the University of Louisiana System of universities. The online Bachelor’s degree program in English and the Humanities offered through Nicholls State University is available in a fully online and asynchronous format, which affords students great flexibility. The degree offered at this school is a Bachelor of Arts in English. This English program is a “classic” English major and will provide students the opportunity to study various forms of American, British and World literature through various examples. Students will also have the opportunity to take courses that concentrate on various literary genres, such as poetry, drama, short fiction, novels and even film. In addition, students will also be required to have experience with various special topics courses that focus on other areas relating to English studies, such as linguistics, grammar, creative writing and professional writing. The University of Memphis is a public research university located in Memphis, Tennessee and was established in 1912. The online Bachelor’s degree program in English and the Humanities offered through the University of Memphis is a easy-to-navigate online program in a fully asynchronous format. The degree available is a Bachelor of Arts in English. Students enrolled in this online Bachelor of Arts degree program may choose either a concentration in African American Literature or a concentration in Professional Writing. Students who choose the African American literature concentration will find engaging and dynamic courses that emphasize close analytical reading skills and strong critical thinking skills. Students who choose the school’s Professional Writing concentration will learn various communication skills that prepare them for careers in dynamic fields such as business, publishing and technology. Central Washington University is a public university located in Ellensburg, Washington. The online Bachelor’s degree program in English and the Humanities offered through Central Washington University is fully asynchronous. The degree program available is a Bachelor of Arts in English with a focus in Professional and Creative Writing. Students can supplement their English education through various liberal arts electives and minors, which will allow them to obtain a custom-built education from a nationally recognized institute of higher learning. This degree program melds the rigors of creative writing in areas such as poetry, fiction, creative nonfiction and screenwriting with the practical elements of professional and technical writing and editing. The University of Illinois at Springfield is a public university that is located in Springfield, Illinois. The online Bachelor’s degree program in English and the Humanities offered through the University of Illinois Springfield is both fully online and completely asynchronous. The degree program available is a Bachelor of Arts in English, and has a couple of specializations available that students can choose to take, which will tailor the education they receive based on their personal or professional interests. These specializations are: General English and Literary Studies, English Education or a Writing, Rhetoric, and Language Concentration. In addition to these specializations, the school offers many related electives that will provide students with a more well-rounded English education, such as Drama, Linguistics and Children’s Literature. The University of Massachusetts Lowell is a public research university located in Lowell, Massachusetts. The online Bachelor’s degree program in English and the Humanities offered through the University of Massachusetts Lowell is available to online students in a fully online and a completely asynchronous format. The degree program available is a Bachelor of Arts Degree in English. The online Bachelor’s Degree in English offers a rigorous curriculum in British and American literary traditions, in addition to an innovative mix of contemporary courses in non-traditional genres. Students can custom tailor the education they receive through the school’s myriad related electives such as Drama, Comedy, Poetry, Business Writing, Journalism and Studies in Film. 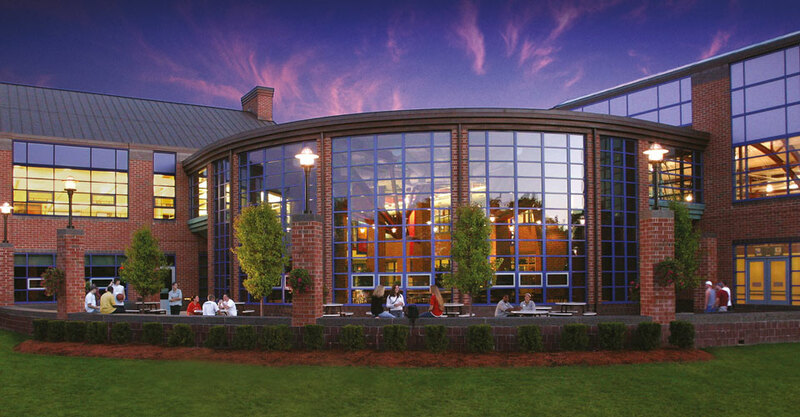 The high-quality and rigorous nature of the program provided by the nationally and internationally recognized school and its relatively affordable per credit hour cost are the reasons we have chosen the University of Massachusetts Lowell’s English program as our top pick.